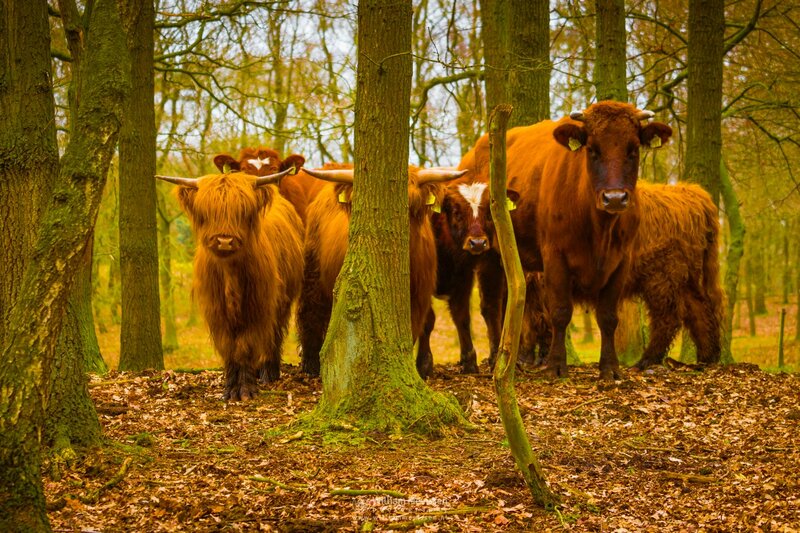 We Are Family ... scottish highlanders and other cows in Het Bergerbos, De Maasduinen National Park (Afferden, Netherlands). Click here for more information about photo 'We Are Family'. Serenity at sunrise in nature reserve Het Quin, situated in the north of National Park De Maasduinen in the forest Bergerbos in Afferden (Netherlands). Click here for more information about photo 'Serenity'. Panorama Before The Curtains Closed at nature reserve Het Quin. The title might suggest a sunset but this was actually at sunrise and instead of getting lighter it got darker due to the clouds blocking more and more of the twilight light. 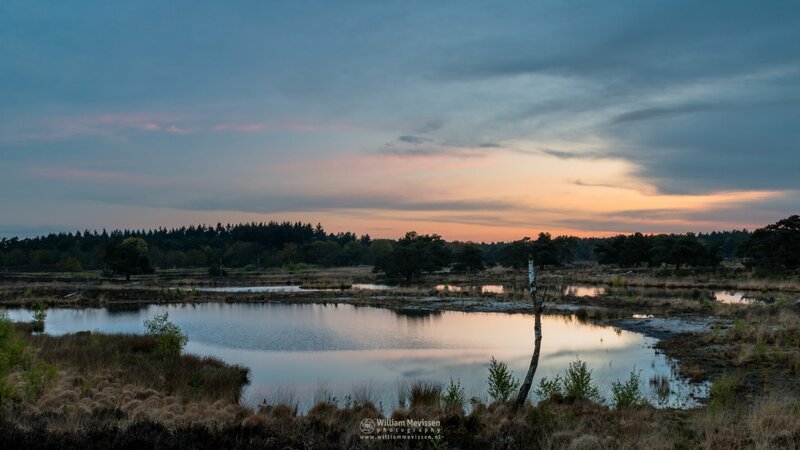 Het Quin is situated in the north of National Park De Maasduinen in the forest Bergerbos in Afferden (Netherlands). Click here for more information about photo 'Panorama - Before The Curtains Closed'. Panorama of a beautiful piece of nature Het Quin showing 3 of the 5 (quintuplets) fens. Het Quin is situated in the north of National Park De Maasduinen in the forest Bergerbos in Afferden (Netherlands). Click here for more information about photo 'Panorama - Het Quin'. This is a handheld* panorama of 4 single shots. Expand photo and move mouse or swipe to left or right. * I was traveling extremely light with just my Canon 100D and 24mm pancake lens. I just wanted to explore the area for the next visit when I will arrive there in the early hours. This was shot around 1pm, normally too bright but then it got cloudy and the clouds filtered the bright sunlight. Het Quin is situated in the north of National Park De Maasduinen in the forest of Bergerbos in Afferden . A beautiful piece of nature with fens and heathlands enclosed by a parabolic dune. Quin means quintuplets, therefor you can find five fens in the dune dip of the parabolic dune.